So Proposition 64 has passed. The first thing you may want to know is, "When can I start buying recreational pot, and use it legally?" Yeah, but there's so many more questions to ask -- and the answers are still evolving. For our first "Policy and a Pint" panel of 2017, we gathered people who are shaping and creating the state's cannabis industry explain the highs and lows of Proposition 64, how it's going to affect California economically, culturally and politically -- and, whether you partake or not, what you need to know about our biggest cash crop. PANELISTS * Lori Ajax, Chief of California's Bureau of Medical Cannabis Regulation * Hezekiah Allen, executive director of California Growers Association * Nate Bradley, executive director of California Cannabis Industry Association * Gabriel Garcia, co-leader of the Cannabis Law practice at Kronick, Moskovitz, Tiedemann & Girard * Jay Schenirer, Sacramento City Council Member for District 5 * Andrea Unsworth, founder of StashTwist, a cannabis delivery service in Oakland, and co-founder of Supernova Women, a group focused on getting more women and people of color running businesses in the cannabis industry PODCAST TIMEFRAME * 0 to 5 minutes - Intro to California Groundbreakers * 5 min - Panelists introduce themselves and explain how they got involved with the cannabis trade * 19:45 min - The timeframe for rolling out the different parts of Prop 64 * 23:30 min - How does California compares and contrast to Colorado, Washington and other states where recreational pot is legal? * 25 min - How the state government is doing in regulating cannabis -- is it on track to meet Prop 64's deadlines? * 28:50 min - How will the two-tier system of state laws and city/county ordinances for the cannabis industry work ? * 33 min - Oakland has been a trendsetter in medical marijuana regulation -- what can other California cities learn from it? * 37 min - The City of Sacramento's post-Prop 64 plan for marijuana regulation * 40:50 min - The pros and cons of Proposition 64 passing * 45 min - The "Gold Rush of Pot" - boom or bust? * 54:20 min - What will the state and the City of Sacramento do with the taxes generated from medical and recreational marijuana? * 56:30 min - The law-enforcement aspect of regulating Prop 64 * 1 hr - How will California try to avoid the adverse impact of legalized marijuana use on youth and people of color? * 1 hr, 4 min - What are the major challenges ahead for Prop 64, and what can the public do to help? * 1 hr, 11:45 min - What's the future of regulating trademarks and branding for cannabis products? * 1 hr, 17:30 min - How will state regulation of cannabis compare and contrast to regulation of alcohol and tobacco? * 1 hr, 21 min - Can Prop 64 change anything about Federal banking and financial restrictions on the cannabis industry ? * 1 hr, 25 min - Will Jeff Sessions as Attorney General affect Prop 64? * 1 hr, 29 min - As a business owner, can I smoke cannabis on my outdoor patio? And can I host a cannabis vendor event? * 1 hr, 31:50 min - Interstate and intrastate commerce -- and collaboration -- with Nevada next door, which also legalized pot? * 1 hr, 34:50 min - Biggest hopes and biggest fears this year for the cannabis industry * 1 hr, 35:50 min - Councilman Schenirer, are you liberal or conservative on cannabis? * 1 hr, 36:50 min - How can the state create a unifying message for Prop 64? * 1 hr, 39:45 min - What will Prop 64 do, if anything, in shaping the cannabis industry geographically - can Sacramento be the Napa County of Cannabis? Users who like Policy and a Pint: Pot Is Legal . . . Now What? 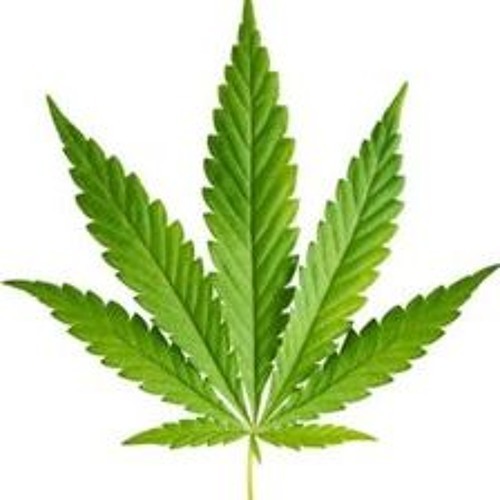 Users who reposted Policy and a Pint: Pot Is Legal . . . Now What? Playlists containing Policy and a Pint: Pot Is Legal . . . Now What? More tracks like Policy and a Pint: Pot Is Legal . . . Now What?